"Friends are hard to find. In a life time you get only a few. And when you find them you always know them by sight and heart alone. You always grow a little bit taller in your soul, and you know you have been Blessed just to know them" - Ashley Rice. The above quote definitely fit to me, have found few friends whom i met on Internet via blogging and now know them more by heart and am really Blessed to have them in my life. 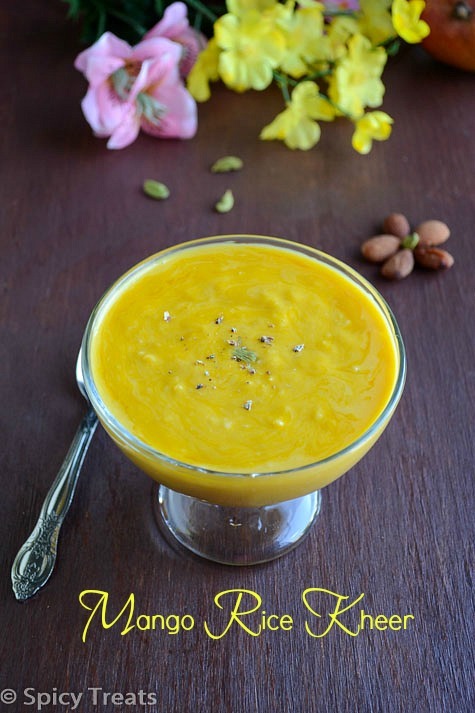 One such friend is Priya of Priya's Versatile Recipes. She is such a inspiring woman to me in all ways, personal, blogging, character, attitude everything she is Gem of a Woman have met so far. I don't have to explain about her blogging skills, about her versatility on her recipes, baking passion, healthy recipes, she is an enthusiastic blogger and also very supportive and inspiring for any new blogger. Her recent event, Rendez Vous With A Foodie is one best example for her helping and supportive nature. Every 7th and 15th of a month she show case a New blogger's post, that's really a nice thought and appreciate it. I came to know few new bloggers via her event and definitely for them also its a great opportunity to be featured on her great Space , "Priya's Versatile Recipes" isn't it?! Two years back i did not get such precious chance to be featured on a great popular blog but still She is one of the blogger friend who constantly support me from my early days to till now. I am so happy and blessed to have her as my friend, she always bring smile on my face when we chat, so jovial and down to earth person. Today She celebrating her Birthday. we group of friends decided to celebrate a Virtual Birthday Party with a Colour Theme. Each one picked a colour and made desserts with it and also tried a recipe from her space and will be posting it later. 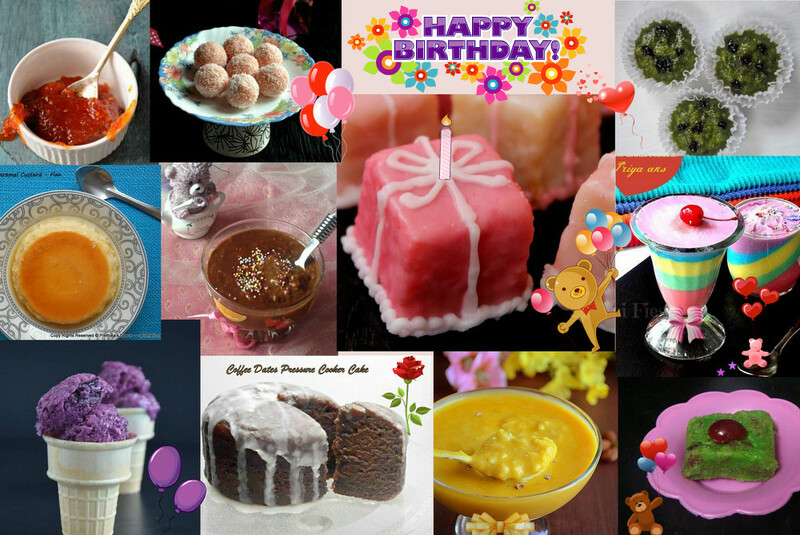 This is the collage of all the desserts which me and my friends made it for her Virtual Birthday Party. Before Getting into the post, Happy & Joyous Eid to all Who Celebrate. "Eid Mubarak"
Wash and soak basmati rice for at least 30 minutes. 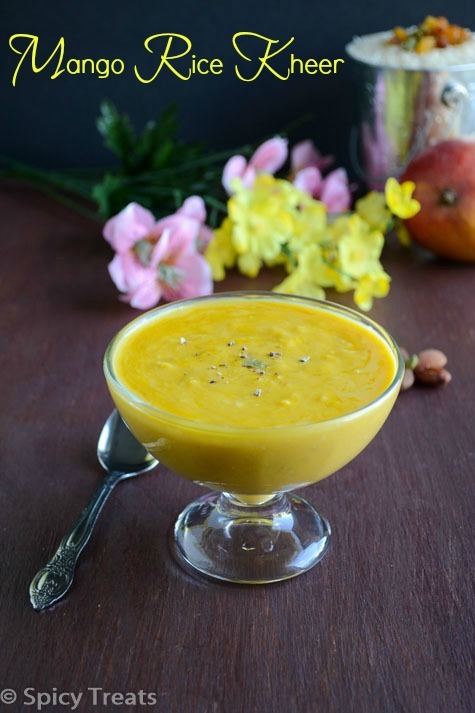 Wash and cut mango n scoop out the pulp and blend it in a blender to a smooth puree and keep aside. In a heavy bottomed vessel, add milk and bring it to boil. Once it starts boiling add rice(drained). Cook, stirring continuously until the milk is fully absorbed and the rice is tender/cooked and broken. Cook it in medium heat, for me it took almost 45 minutes. 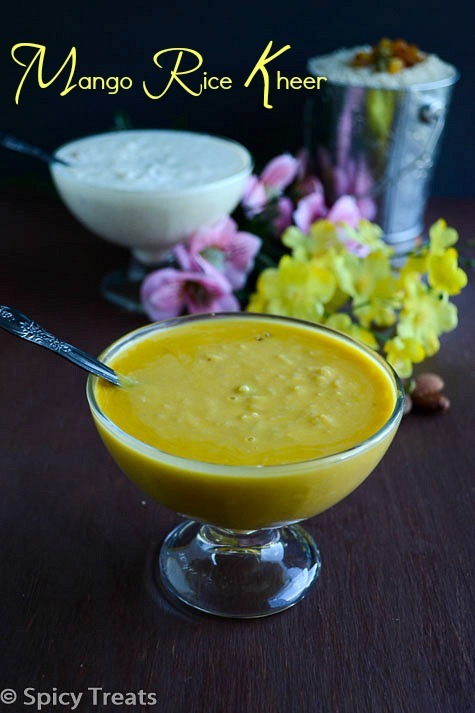 Milk should be reduced and the malai gets absorbed by the rice and the constant stirring is must. Then add raisin(drained) and condensed milk. Cook stirring regularly until the consistency is thick and the mixture sticks to the ladle. Lastly add crushed cardamom and switch off the stove. 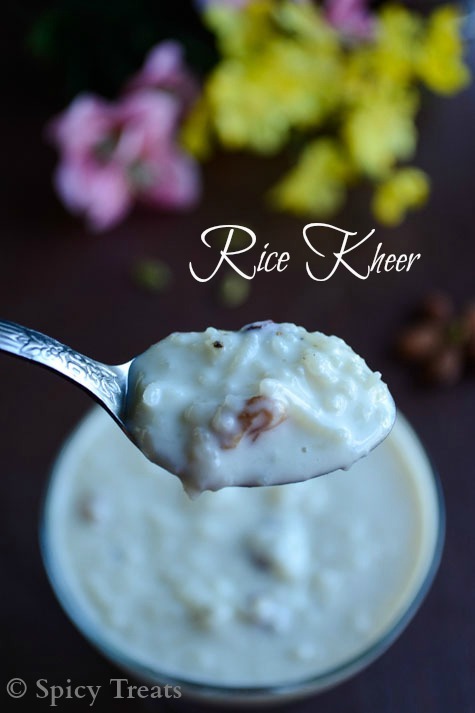 That's it Rice Kheer ready. 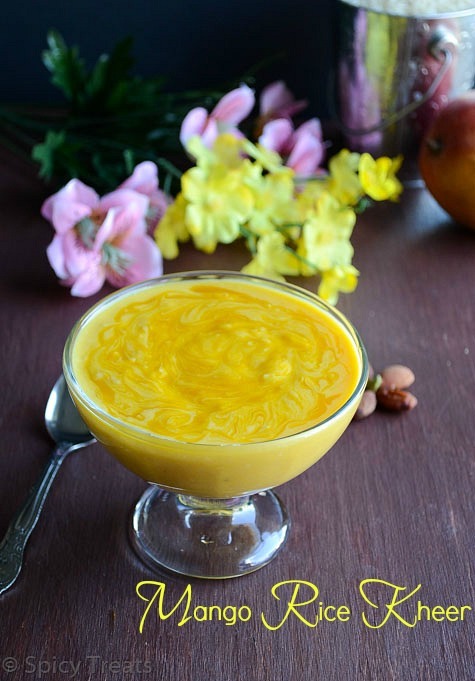 Allow it to cool for a while and then add mango pulp and stir well. Garnish with almonds. 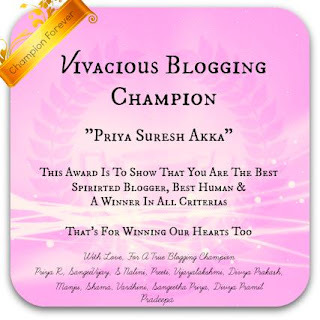 Hope You liked & enjoyed our Virtual dessert Party :) Here's one more treat, a small Award ~ Vivacious Blogging champion from our side to show How Special You are to us & a small appreciation for your 5 years of Blogging Journey. Special thanks to Divya Pramil for creating such lovely award on behalf of us & Divya Prakash for this Apt Title. Sangee, i need to repeat the quote u have written here, same here i feel the same here too, am soo blessed and lucky to get u all through this virtual world, our friendship proved that even virtual world can makes true friends..Love u all..
Antha bowl kheer yennaku yennake matum than my dear Sangee, thanks dear for ur virtual treat..Thanks for making this day very much memorable. 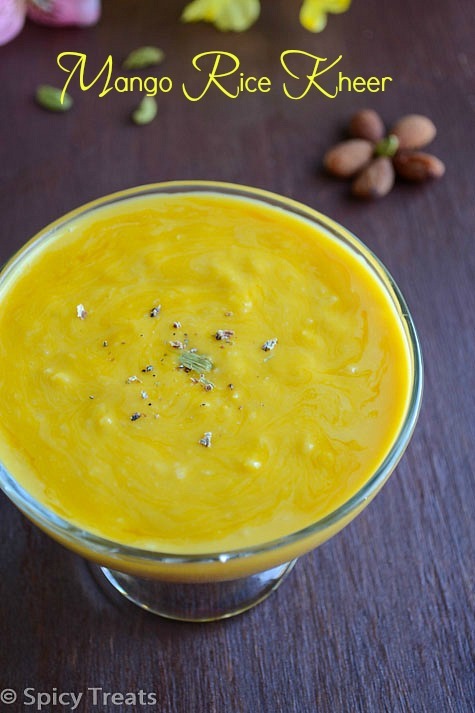 Mango kheer looks delicious and creamy. Great to know that you have found a co blogger friend Priya. Happy B'day to her. 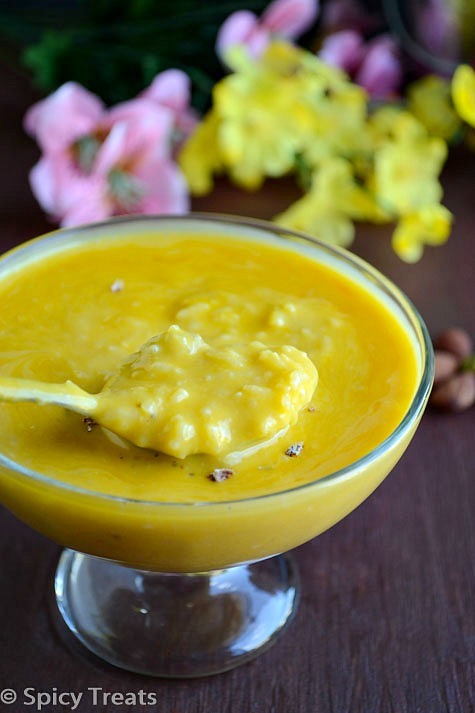 What a nice way to celebrate by sharing this delicious looking Mango Kheer? 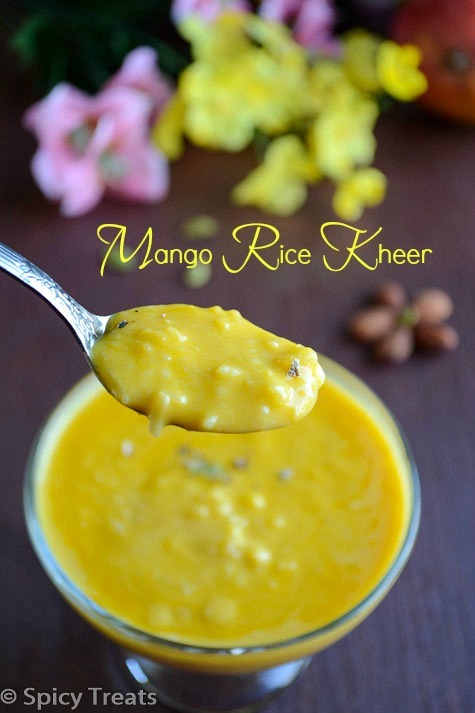 Super cute,rich & creamy kheer.......looks very inviting. 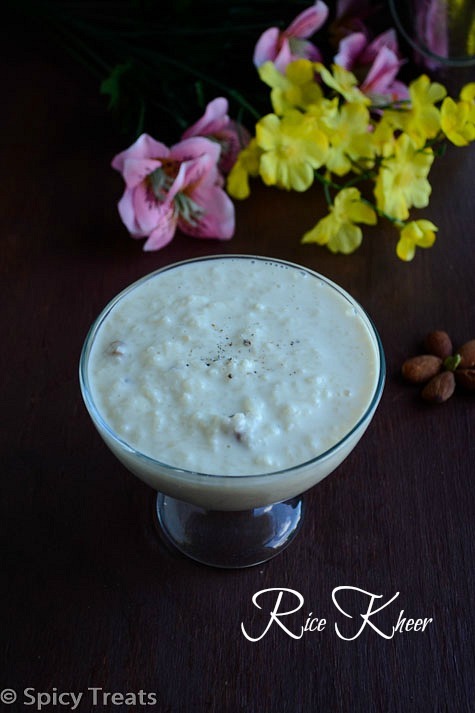 Yummy & tasty looking kheer :) A sweet treat for a sweet lady !